Norman Spencer Chaplin, son of Mildred Harris and Charlie Chaplin, was born on July 7th, 1919, but sadly died three days later. He is buried under a stone marked simply The Little Mouse. Charles Spencer Chaplin, Jr. - born May 5, 1925. He and his brother Sydney attended the Black-Foxe Military Institute in Hollywood and the Lawrenceville School in Lawrenceville, New Jersey. He served in the US Army in Europe during World War II. The boys were mostly raised by their mother and grandmother but as teenagers visited their father frequently, and adored “step mother” Paulette Goddard. Charles married (and later divorced) Susan Magness and they had one daughter, Susan Maree. He subsequently married Marta Brown, which marriage also ended in divorce. He acted in several films, including in his father’s Limelight (1952) but never managed to break into movies or theatre, remaining on the periphery of Hollywood. In 1960 he wrote a biography of his father entitled My Father, Charlie Chaplin. He died aged 42. 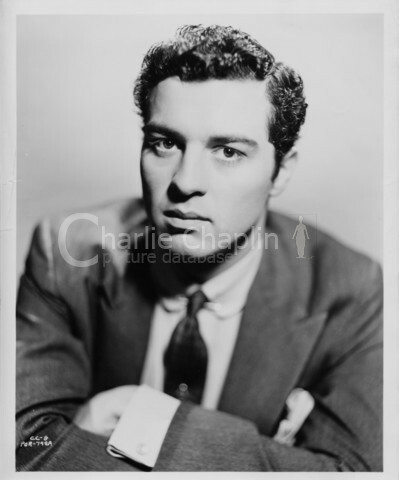 Sydney Earle Chaplin was born March 30th, 1926. He was variously educated at the Black-Foxe military institute, Lawrenceville preparatory school, New Jersey, and North Hollywood high; and did war service in the 65th Infantry Division. In 1946, he joined his friend Jerry Epstein, the actor Kathleen Freeman and students from UCLA in forming the Circle Theatre. Charlie Chaplin himself took a hand with direction, or would happily sit beside Epstein in the box office. The theatre became Hollywood’s first centre of avant-garde drama and the Circle became a meeting place for Hollywood’s brighter people, including Katharine Hepburn, George Cukor and Edward G Robinson. Sydney made his screen debut in 1952 as the young romantic lead, opposite Claire Bloom, in his father’s film Limelight, but effective though he was, he found few subsequent rewarding roles. The best of them were Treneh in Howard Hawks’s Land of the Pharaohs and the leading role in a good British thriller, Ken Hughes’s Confession, both in 1955. Tall and handsome, he was constantly in and out of love. On Land of the Pharaohs he was romantically involved with the female star, Joan Collins; and later the same year, working on Gregory Ratoff’s Abdulla the Great, he embarked on a much-publicised affair with the film’s star, Kay Kendall. He had supporting roles in George Marshall’s western Pillars of the Sky (1956) and Jack Sher’s Four Girls in Town (1957), but had greater success on Broadway. His first starring role was opposite Judy Holliday in Bells are Ringing (1956), which ran for 924 performances and earned him a Tony award as best supporting or featured actor in a musical. In George Axelrod’s comedy Goodbye Charlie (1959) his co-star was Lauren Bacall. This was followed by another musical, Subways are for Sleeping (1961), with a book and lyrics by Betty Comden and Adolph Green and music by Jule Styne. Then came a less fortunate play, In the Counting House (1962), which closed after four performances. His best and last Broadway role was in Funny Girl (1964), for which he was again Tony-nominated. His eventual departure from the cast and disillusion with the stage appear to have been the result of deteriorating relations with his Tony-winning co-star Barbra Streisand. Twice he went to Britain to star in independent low-budget comedies directed by his Circle Theatre collaborator Epstein: Follow That Man (1961) and The Adding Machine (1969), from the Elmer Rice play that had been the Circle’s first notable success. Also in England, he played alongside Marlon Brando and Sophia Loren in his father’s last film, the romantic comedy A Countess from Hong Kong (1967). Otherwise, between 1966 and 1971 he worked in France and Italy, accepting secondary roles in films now best forgotten. Back in Hollywood he appeared in a horror film, So Evil, My Sister (1974), and thereafter made occasional appearances in TV dramas. His last big-screen appearance was in a horror comedy, Satan’s Cheerleaders (1977), though he continued to make appearances in documentaries about his father until 2003, when he was seen in Richard Schickel’s Charlie: The Life and Art of Charles Chaplin. After 40, however, it seemed as if he had determined not to allow work to intrude upon his insatiable zest for social life. He loved good living, rich friends and golf. He could imbibe startling quantities of whisky without any apparent ill effect. If anything it only brightened his gifts as raconteur, with an endless stock of anecdotes, quite liberated from pedantic concern with fact. This endeared him to his stepmother, the former Oona O’Neill (only six months his senior), and the eight children she had given Chaplin; and he remained a favourite guest at their home in Vevey, Switzerland, until Oona’s death in 1991, 14 years after her husband. For some years he ran a stylish restaurant - Chaplin’s - in Palm Springs, which suited his gregarious inclinations, but was probably more popular than profitable. Geraldine Leigh Chaplin was born on July 31st, 1944. Her first film appearance was in Limelight with brother Michael and sister Josephine, and she also had a small part in A Countess from Hong Kong. David Lean’s Dr Zhivago brought her fame as an actress, and, equally at ease in English, French and Spanish, she went on to perform many roles - with French filmmakers such as Lelouche, Resnais and Rivette, Spanish filmmkaers Almodovar and Bayona, and in particular Carlos Saura, with whom she had a son, Shane. In 1992 she played her grandmother Hannah in the 1992 Richard Attenborough film of Chaplin. She is married to Chilean cinematographer Pato Castilla. Their daughter, Oona was born in 1986. Geraldine continues to work tirelessly. In 2017 it was announced that she would be in the new Jurassic Park movie. Michael John Chaplin was born March 7, 1946. He made a brief appearance in Limelight with his sisters and later played the boy, Rupert Macabee, in A King in New York. He was married first to writer Patrice Chaplin, with whom he had two sons, and later to Patricia Betaudier, a painter. They have six children and live in Switzerland. Michael’s novel The Fallen God, a modern version of Tristan and Isolde was published in 2013, and he is now working on preparations for a film about his father’s gypsy roots to be called The Caravan’s Trail. Josephine Hannah Chaplin was born March 28, 1949. She was in a number of films, including her father’s Limelight and A Countess from Hong Kong, and Pasolini´s Canterbury Tales, and made television and radio appearances. First married to Nicky Sistovaris, (son Charly born 1971), she then lived with French actor Maurice Ronet until his death, and later married Jean Claude Gardin, who died in 2014. She had a second son Julien Ronet (born 1980) with Maurice, and a third, Arthur Gardin (1986), with Jean Claude. For years she managed the Chaplin office in Paris on behalf of her siblings until she took leave to care for her husband. She lives in Paris and often visits Waterville in Ireland where the Chaplins sometimes vacationed, and where she sponsored a statue of the Little Tramp which stands on the seafront and supports the annual Chaplin AmAm golf tournament. Victoria Chaplin has asked that we do not feature a biography of her or her family on this site. Eugene Anthony Chaplin was born on August 23rd, 1953 in Switzerland. He graduated from the Royal Academy of Dramatic Arts as a stage manager and worked in the Geneva Opera house. Later, as a recording engineer, he worked with The Rolling Stones, David Bowie, and Queen. He made a documentary film Charlie Chaplin: A Family Tribute, and created a musical Smile, which is a narration of Charlie Chaplin’s life through his music. He lives in Switzerland and has five children from his first wife Bernadette McCready, and twins Oona and Skye (2007) with his second wife Dergermaa Enkhbat. Passionate about the circus, Eugene worked for some time with the Nock Circus in Switzerland, and is often invited to be on the jury of circus competitions worldwide. Annette Emily Chaplin was born on December 3rd, 1959 in Switzerland. For the last 30 years she has lived between Paris, Switzerland and Montoire sur le Loir where she and her husband Jacques Auxenel converted a silo into a brand new theatre. They produced mostly modern comedies, in which Annie and others acted, directed by Jacques. Annie toured with the monologue Shirley Valentine, and more recently in Jean Anouilh’s La Belle Vie. She raises and rides Arabian thoroughbreds and Franche-Montagne/Freiberger horses. Christopher James Chaplin was born July 6, 1962 in Corsier-sur-Vevey, Switzerland. He studied piano under Irene Denereaz in Vevey before going to London to become an actor. He played in several films until finally gave in to his two passions – composing and piloting an airplane. Since 2005 Christopher has focused on a career as a composer, and has collaborated with German experimental, ambient and electronic musician Hans-Joachim Roedelius among others. His first album Je Suis le Tenebreux was released in 2016. He lives in the United Kingdom. Kiera Chaplin is the eldest daughter of Eugene Chaplin and his first wife, Bernadette. She grew up in Corsier-sur-Vevey, Switzerland, until her parents’ divorce in the mid-1990s. Aged sixteen, she was signed up by the modelling agency NEXT Model Management and soon moved to New York. In her modelling career, Kiera has appeared in fashion magazines such as Vogue and Elle as well as the 2002 Pirelli Calendar. She was awarded a “Lifestyle Icon” award by the Vienna Awards for Fashion and Lifestyle in 2010. In addition to modelling, Kiera appeared in films such as The Importance of Being Earnest (2002), the Bollywood production Yatna (2005), the biopic Aimee Semple McPherson (2006), Indian movie Chaurahen, the Peter Fonda film Japan (2008) and the Italian drama Interno Giorno by Tommaso Rossellini (2011). She now lives in New York and works as a luxury real estate agent, as well as in the television production business. Spencer Chaplin, born in 1988, is the son of Eugene Chaplin and Bernadette McCready. He grew up in Switzerland and the UK. He now lives in Switzerland and works as a musician – singer, guitarist, composer. Shannon and Kevin, the last children of Eugene Chaplin and Bernadette McCready, live in Holland and Switzerland respectively. Shane Saura Chaplin, born 1974 to Geraldine and Carlos Saura, is a psychologist at the Carruth Center for Psychological and Psychiatric Services in West Virginia. He was the first of Charlie Chaplin’s descendants to obtain university degree after which he worked at Miami Children’s Hospital’s emergency room while pursuing his doctorate. He has two children. Charles Sistovaris, son of Josephine Chaplin and Nicolas Sistovaris, was born in 1971 in Switzerland. After he finished a Cinema School in Paris he assisted the Spanish director Jess Franco and played in the ballet Mr C by Maurice Béjart with his aunt Annie Chaplin. Father of two children he now works for the Chaplin Office as a web developer. He enjoys playing piano and regularly goes to Greece where parts of his roots lie. He also genuinely admires his grandfather’s work. Arthur Gardin, son of Josephine Chaplin and Jean Claude Gardin, was born in 1986. After studying science, he co-founded the company Evodrone to develop an extremely lightweight drone with a long battery life for filming demanding video shoots. Julien Ronet, born in 1980, son of Josephine Chaplin and French actor Maurice Ronet, spent much of his childhood in Ireland and now lives in the South of France where he has acted in several short films and two feature films. Dolores Chaplin, (b 1971) eldest daughter of Michael and Patricia, has acted in several films with French filmmakers such as Olivier Assayas, Francis Huster, Patrice Leconte and Xavier Beauvois, with the latter in a film about the theft of her grandfather Charlie Chaplin’s coffin. She lives in Paris and has one son. Kathleen Chaplin, (b 1975) third daughter of Michael and Patricia, describes herself on her Instagram page as singer, song-writer, vegan smoothie lover. In 2015 she released a Latino-Pop-Club single and video « Tu y Yo » featuring rookie Reggaeton artist Billy Ronca. She lives in London and has one son. Tracy Chaplin, (b 1980) eldest son of Michael and Patricia, lives in Switzerland where he teaches yoga. “Since I was a very young boy, I was immersed in oriental philosophy. My father aroused my curiosity for oriental arts by telling me Zen stories, practicing Yoga with me, teaching me various martial art technics and showing me the basics in meditation. After a successful career in Brazilian Jiu-jitsu (wining the 2005 European championship & many international championships) I stepped into Yoga as the next natural step for me after the gathered experiences in martial arts and meditation.” Tracy has two children. See his website. George Chaplin, (b 1985) youngest son of Michael and Patricia, after an early career in competitive motorcycling now ardently studies the piano. He lives in Spain. The son of Hannah Chaplin and Leo Dryden, Wheeler Dryden was taken away from his mother as a baby. He was touring India and the Far East as a vaudeville comedian when he first learned from his father that the famous Charlie Chaplin was his half brother.